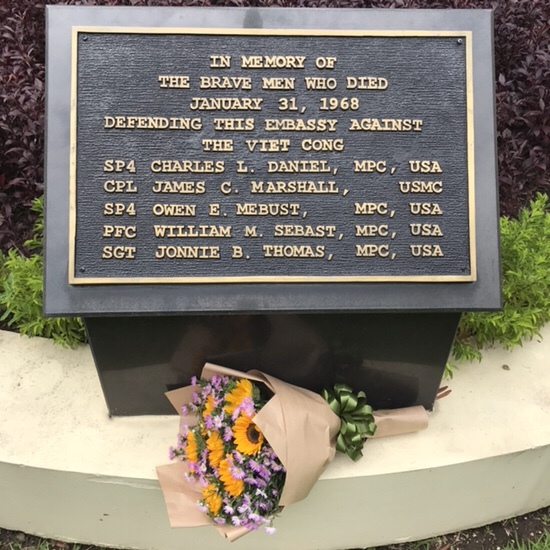 To mark Memorial Day, flowers by the plaques honoring the five servicemen who died during the attack in the Embassy in 1968, and the last two soldiers killed in action in the Vietnam war. 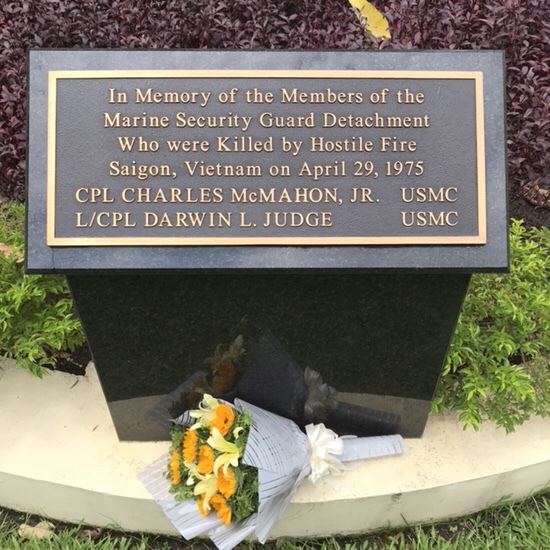 The plaques are on the grounds of the Consulate, the site of our former Embassy. Mr. Phi is one of the best benefits that my apartment building provides. I live in a “serviced apartment.” In addition to the facilities like a gym and a swimming pool, there is also a staff of people who are here to help us with minor life issues. They’re all great, but one guy stands out. Before we moved to Ho Chi Minh City, we visited this building, and got a tour. The young man who showed us the building and talked with us introduced himself as “Phi” (pronounced “fee”). He’s like a young cheerful Buddha: he’s a little overweight, and his round face is always lit up with a smile. He talks with a cheerful ad charming accent, and always seems upbeat and happy. When we moved in, we were delighted that Mr. Phi was still working in the building. 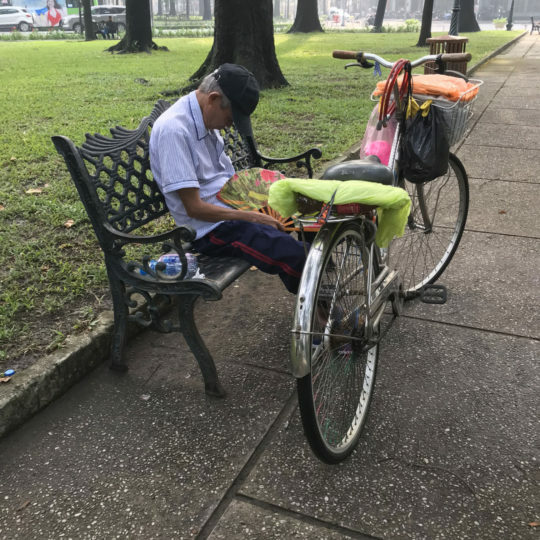 He helps us get a taxi when we need to go to the airport, provides insight into the local culture, tells us how to get around, and generally helped us adjust to life in Ho Chi Minh City, all with a smile on his face and a helpful attitude. When I talk with my coworkers who live in the building, we all agree that Mr. Phi is our favorite member of the staff. He’s also very cute. Last Christmas, one of my neighbors got a real Christmas tree. She said that Mr. Phi timidly knocked on her door one night, and hesitantly asked if she had a real tree. She became worried that she had unwittingly violated the fire code or a local health ordinance. No, it was that Mr. Phi had never seen a real Christmas tree, and he was curious. “Can I see the tree?” he asked shyly. How cute is Mr. Phi?! There was a mystery about his age. None of us were sure how old he was. We all agreed that he could be 24, and he could also be 45. He might be just out of college, or he could be married with three kids. We couldn’t see any clue on his face or in his demeanor that indicated how old he was. I actually liked not knowing. 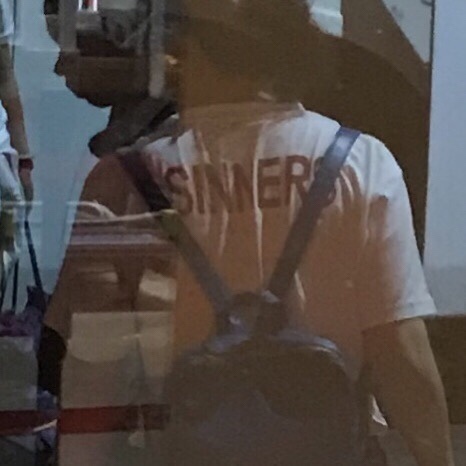 Later, when we finally asked him, and learned the truth, I was a little disappointed to know, because the mystery was so much fun. One of the daily necessities in the modern world is a connection to the internet. Mr. Phi has a friend who works for a local service provider, so he has some inside information and got us a good deal. When we moved in to the apartment, he helped us select a suitable package, one that was much less expensive than the package the salesperson wanted us to buy, but which was good enough for our needs. He also helps us with billing and payment. Yesterday, the internet stopped working. This morning, I stopped by the front desk to ask. 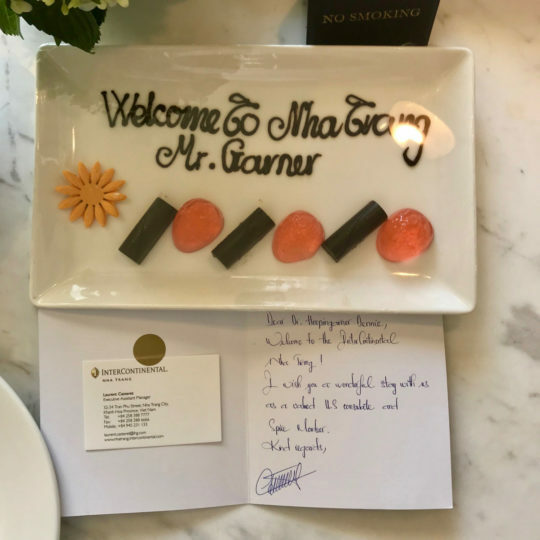 Unfortunately, Mr. Phi was not on duty at the time, and the desk clerk (who’s also nice, but hey, he’s no Mr. Phi) said that Mr. Phi was the best person to ask. He said that Mr. Phi would come on duty later this morning. I said thanks, I’ll stop down later and ask him. Ten minutes before his shift was to start, Mr. Phi rang my doorbell. He said he heard I was having problems with my Internet connection, so he just called his friend and told him to fix it. It should be working now, he said. Sure enough, it was back on. He fixed my problem for me, and made a special trip up to my apartment to tell me in person that the problem was fixed. How much do we love Mr. Phi?! 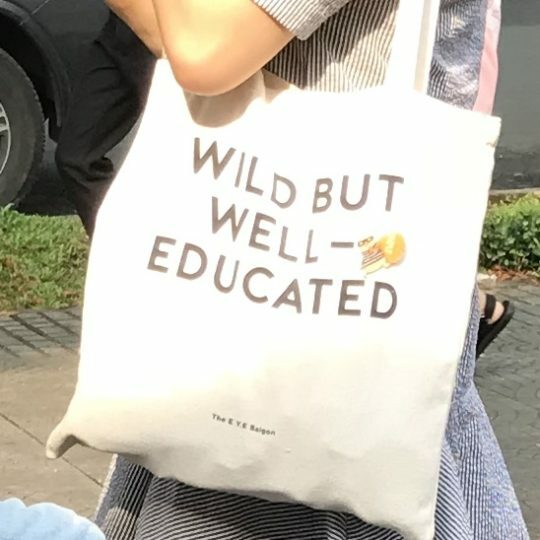 After my tour is over and I go on to another post, I’ll miss a lot about Vietnam. Without a doubt, though, living under the watchful care of Mr. Phi is something that I might miss the most. Believe it or not, this is downtown. 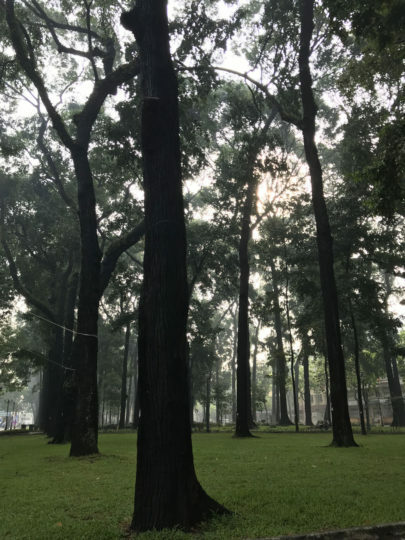 Ho Chi Minh City is a huge city with millions of residents, but there are still parks with towering old-growth trees. This makes the city different from many other cities in Asia, and I love it. I’ve been in Vietnam for almost a year already (holy cow, how did time go by so fast? ), and I’m looking for my next assignment. Wherever I go, it will be amazing and wonderful, but it’s hard to imagine a city as livable as Ho Chi Minh City. I choose to believe that he is tuckered out after a long early-morning ride, and just stopped in the park to rest. 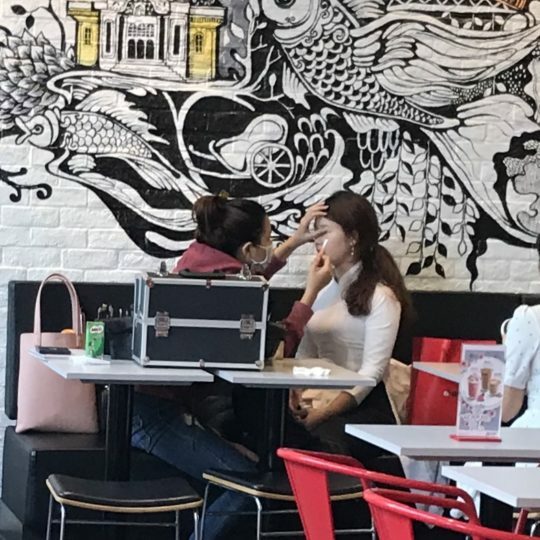 McDonald’s is a perfectly acceptable place to apply one’s makeup, right? Right? 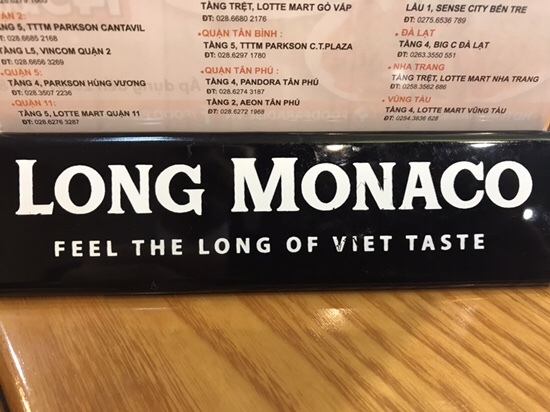 Ho Chi Minh referred to himself as “Uncle Ho,” which is strange in at least two ways. First, all evidence is that his name was actually Nguyen, not Ho. But more importantly, the way Vietnamese people call their real uncles is not by their last name, but by their first. So if he were my real uncle, I should call him Uncle Minh, not Uncle Ho. Anyway, it’s his birthday. Big deals of this are being made all over town. 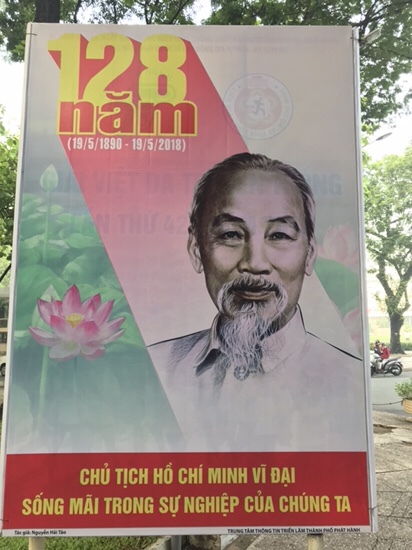 “Chairman Ho Chi Minh Lives forever in our cause” (which cause that is is also forever undefined).